Spacious Work Surface An oversized surface area gives you plenty of working space for your devices, notes, documents, etc. Deeper work surface offers comfortable reading distance. 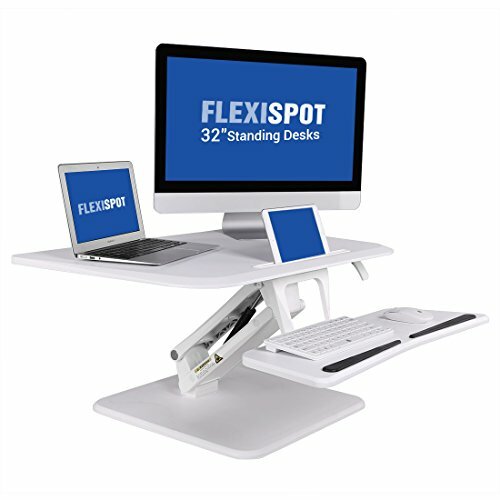 No Pre-determined Heights Instead of selecting being limited by pre-determined heights, you can easily adjust the standing desk to match your specific height requirements.